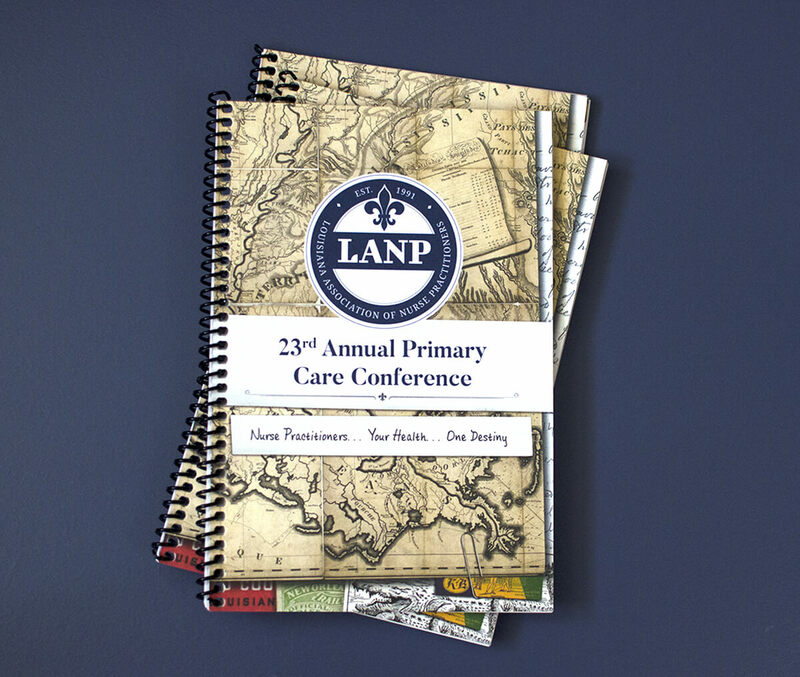 The Louisiana Association of Nurse Practitioners’ Annual Primary Care Conference in New Orleans is one of the largest nurse practitioner conferences in the nation. 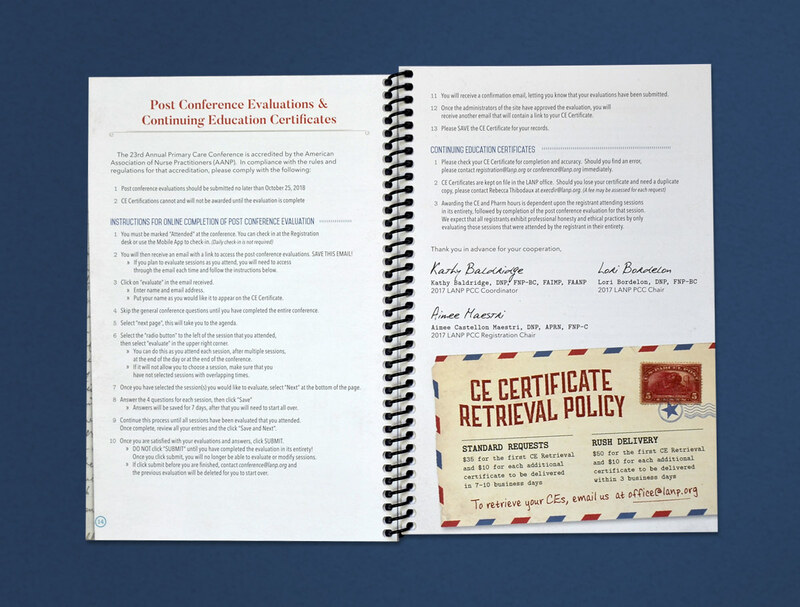 It’s inclusion of industry-leading and academic speakers, presentations, and workshops not only allows for networking opportunities, but also allows students and professionals to gain certification credits important to furthering their careers. 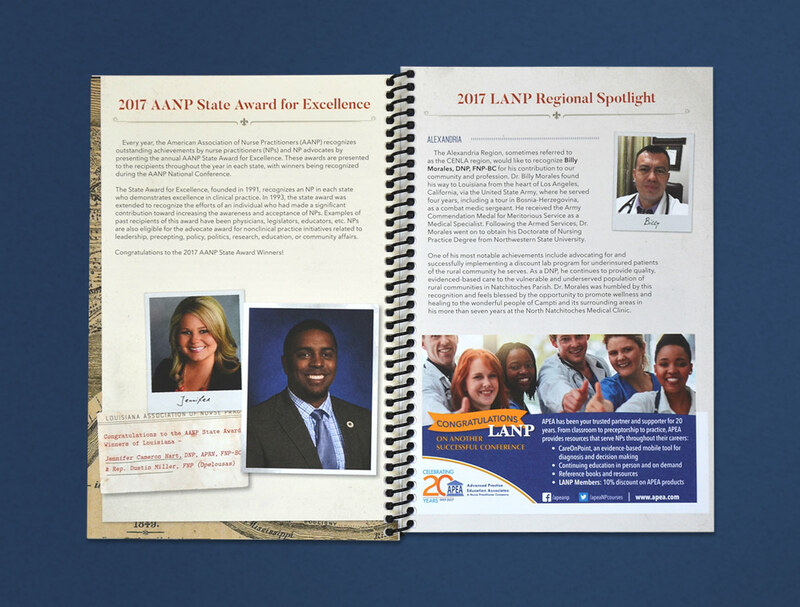 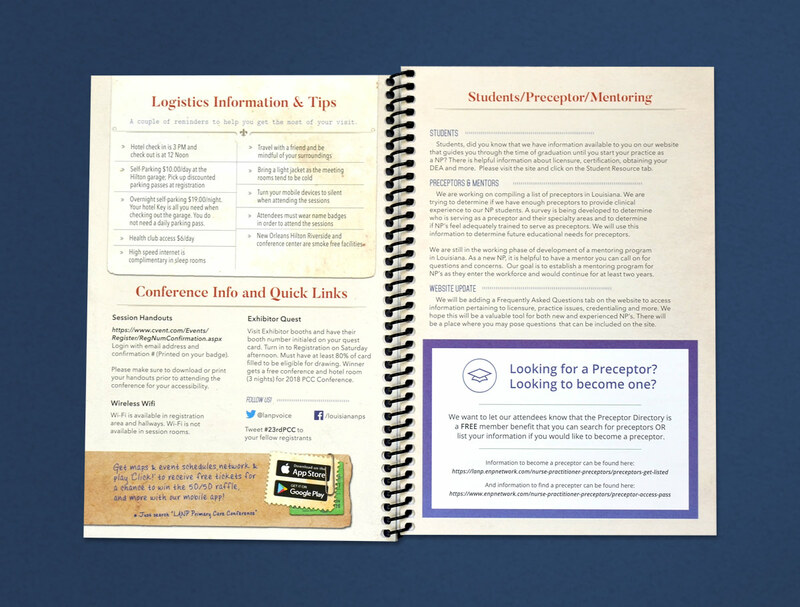 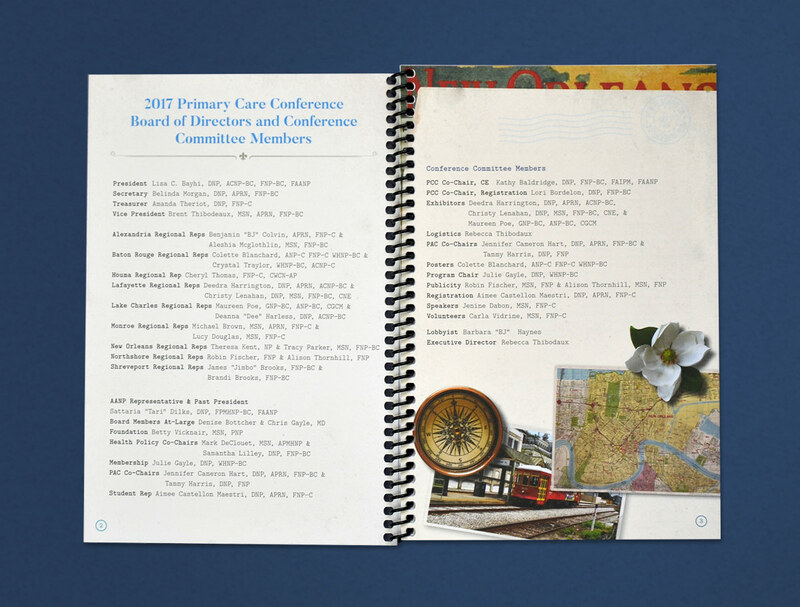 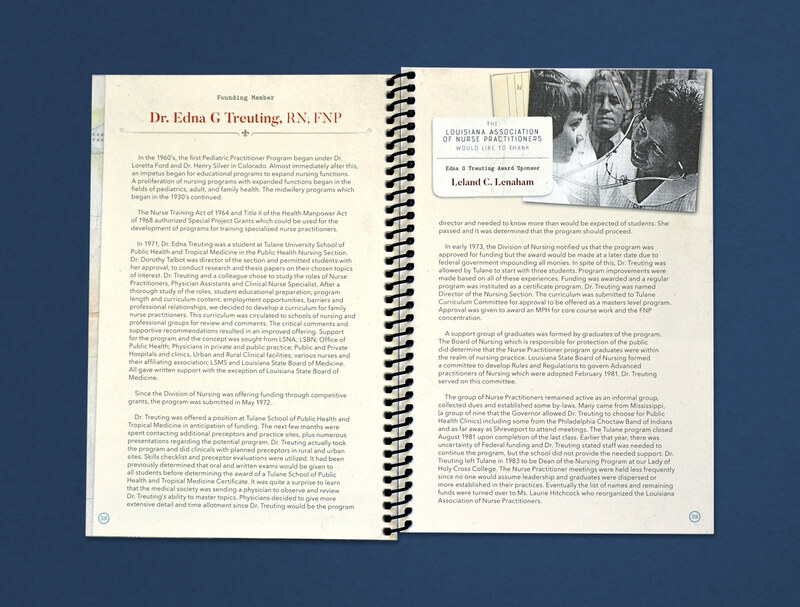 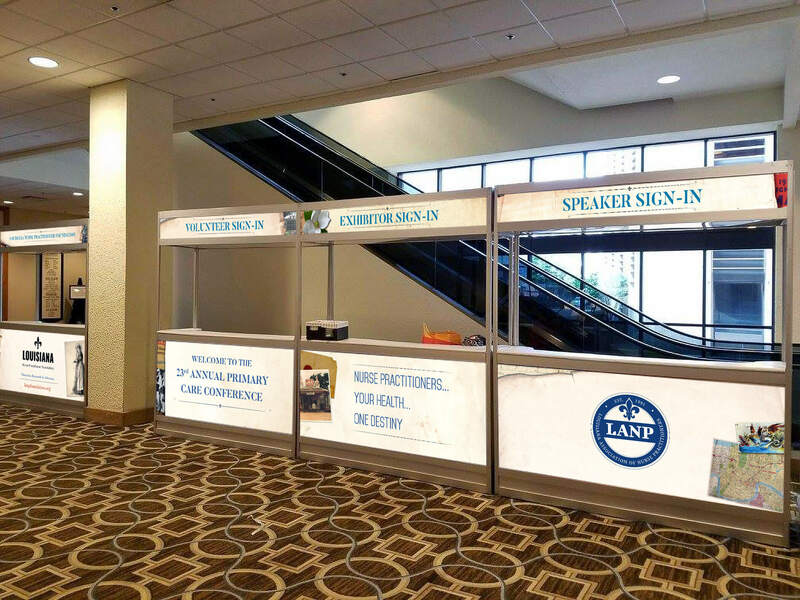 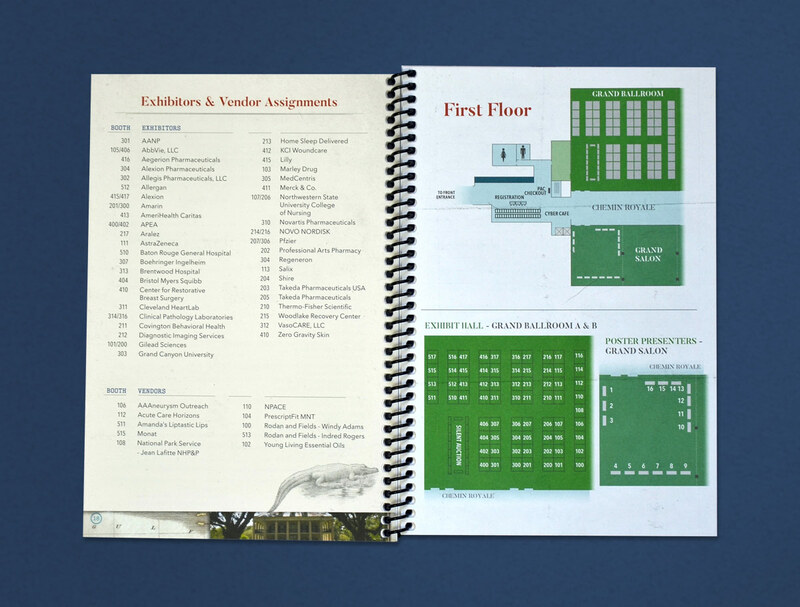 For its 23rd Annual Conference theme, LANP partnered with White Car to create a heightened sense of excitement in the year’s event collateral. 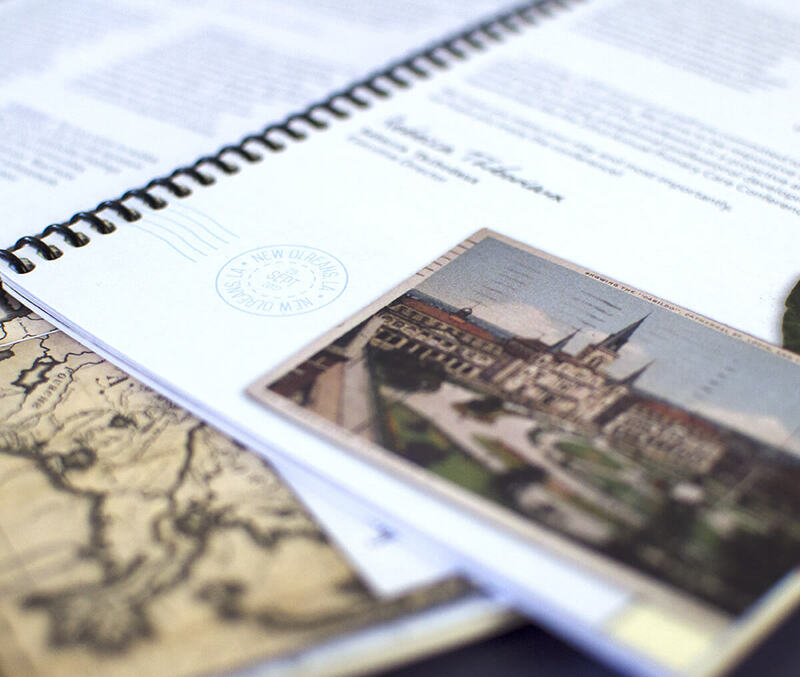 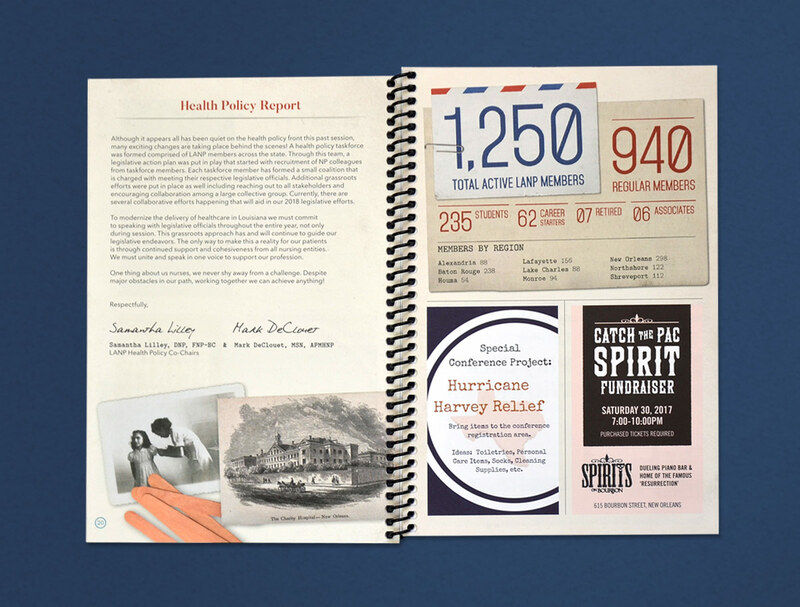 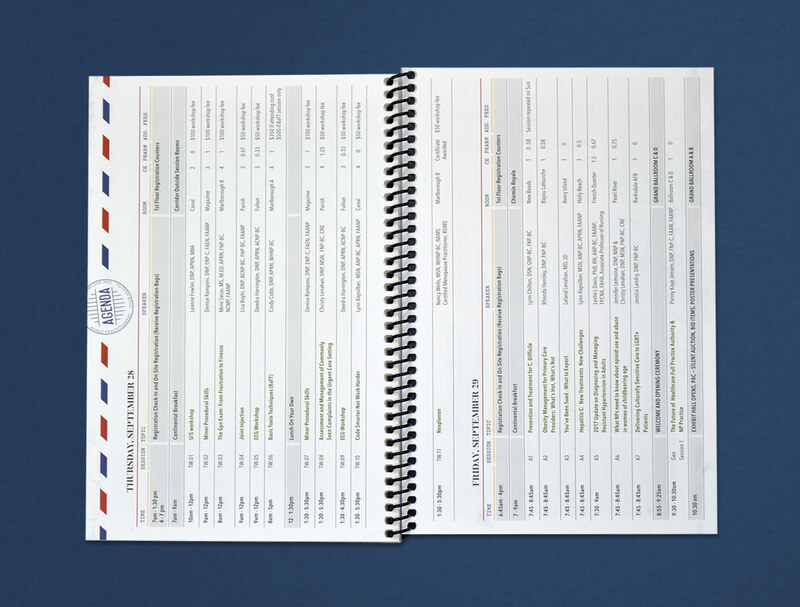 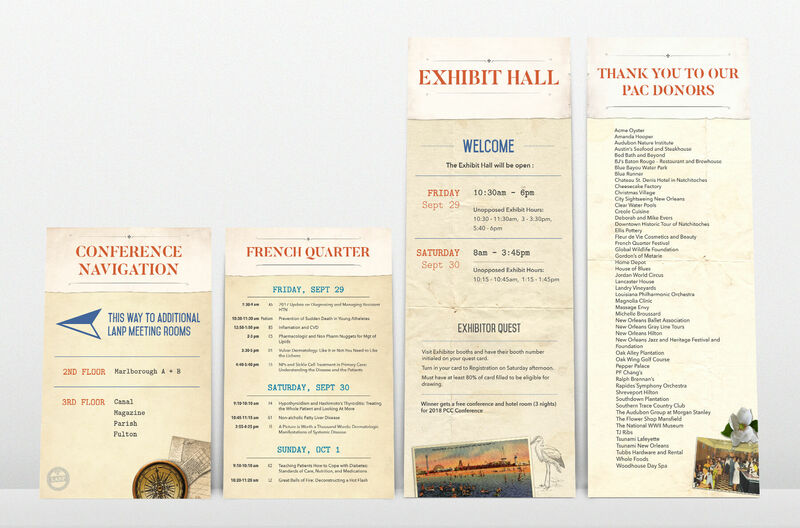 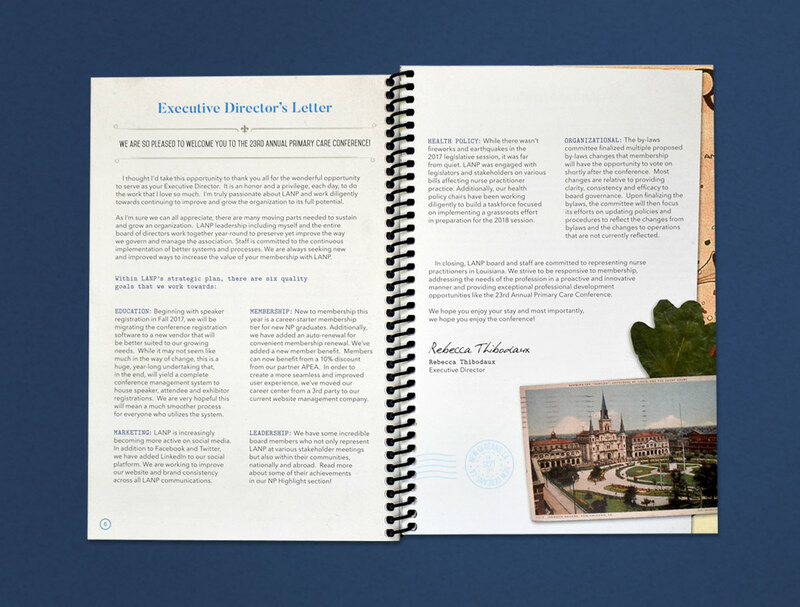 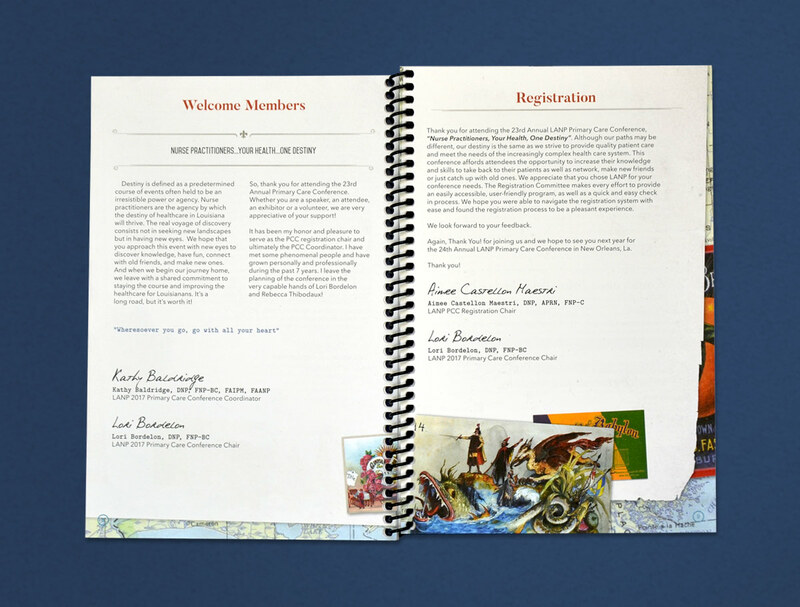 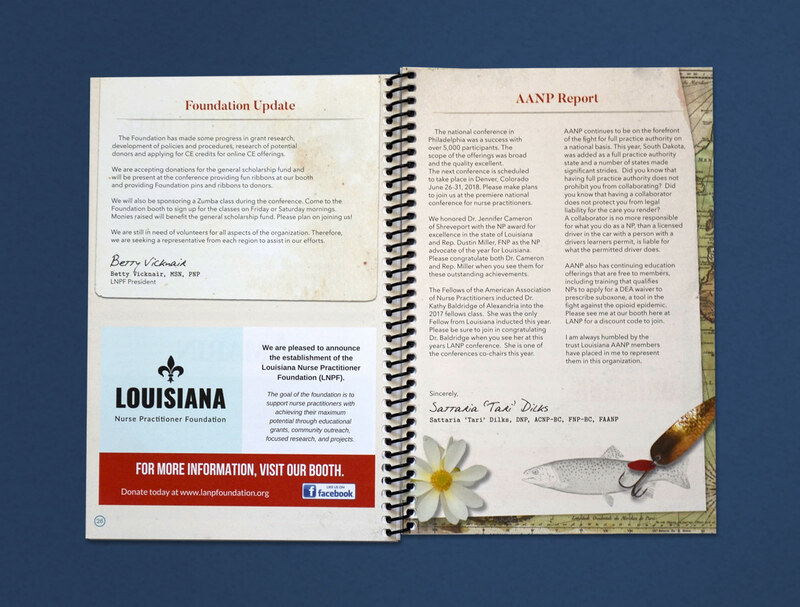 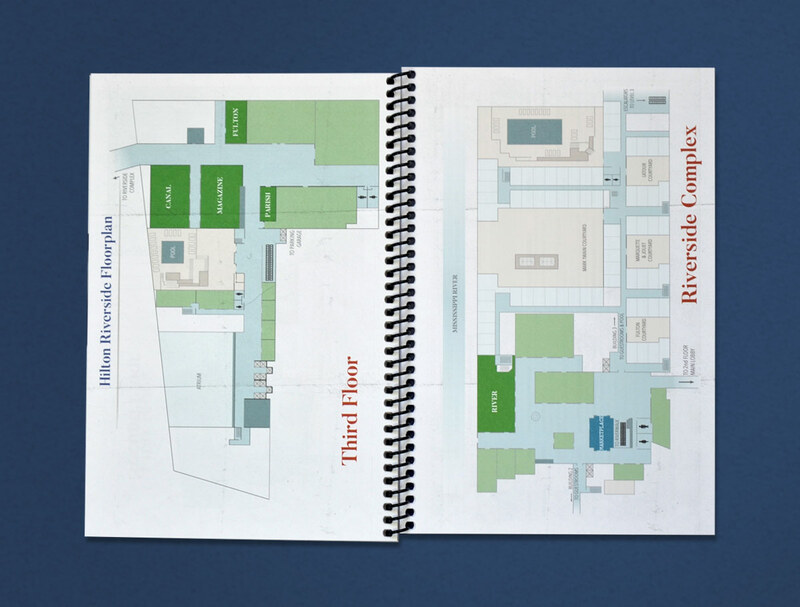 The resulting easy-to-carry program and wayfinding signage were imagined into a vintage, moment-to-moment traveler’s journal told through a mix of Louisiana and New Orleans memorabilia past and present.